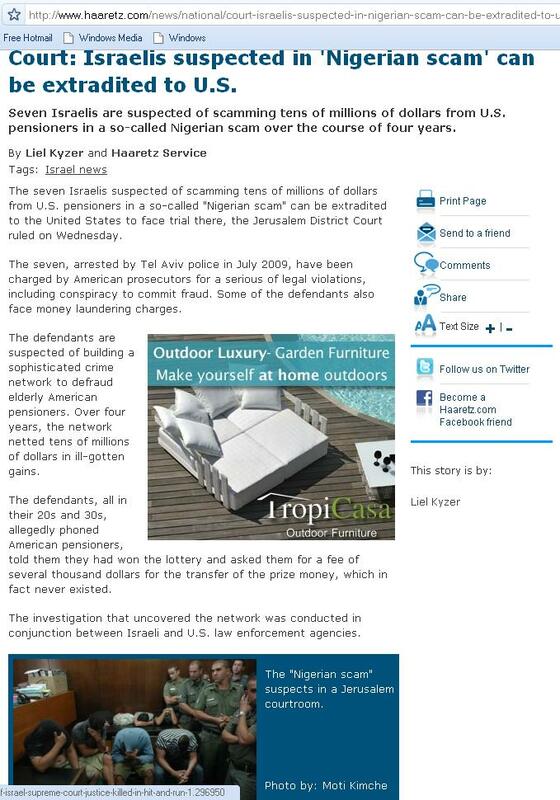 there are no Nigerians involved in the scam, so where did ‘Nigerian Scam’ come from? None of the suspects is African for God’s sake. Does Nigeria as a Nation have to be blamed for fraud offenses committed by Israelis residing in Israel against fellow Israelis or non-Israelis. Or do they just mean to imply that Nigerians residing in Israel have so corrupted these no good Israelis into scamming Americans?